Type: Nickel Metal Hydride. 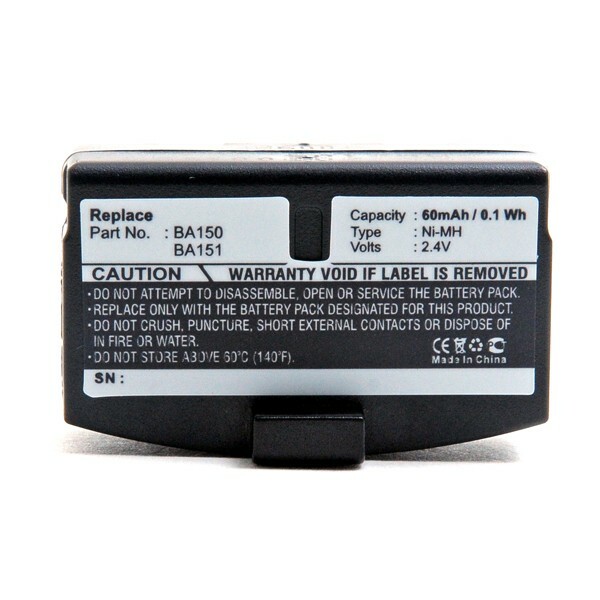 Voltage: 2.4 V. Capacity: 60 mAh. Width: 15 mm. Depth: 20 mm. Length: 35 mm. Price: £9.99. Postage and packing included. Construction: 2 x 60mAh Ni-MH cells, black plastic casing, two pressure contacts. Replaces: Sennheiser BA150, BA151, BA152, WEST-BA151, Williams Sound BATAP97A. * the manufacturer and precise appearance may change depending on availability.